Thanks for installing Nobias — Nobias - Track media bias, credibility, authenticity, and politics in the press you read. Burst your filter bubble. … in Google, Facebook or your favorite Newspaper. Near every link you’ll see Spot’s pawprints and get more information with our toolbar icon. 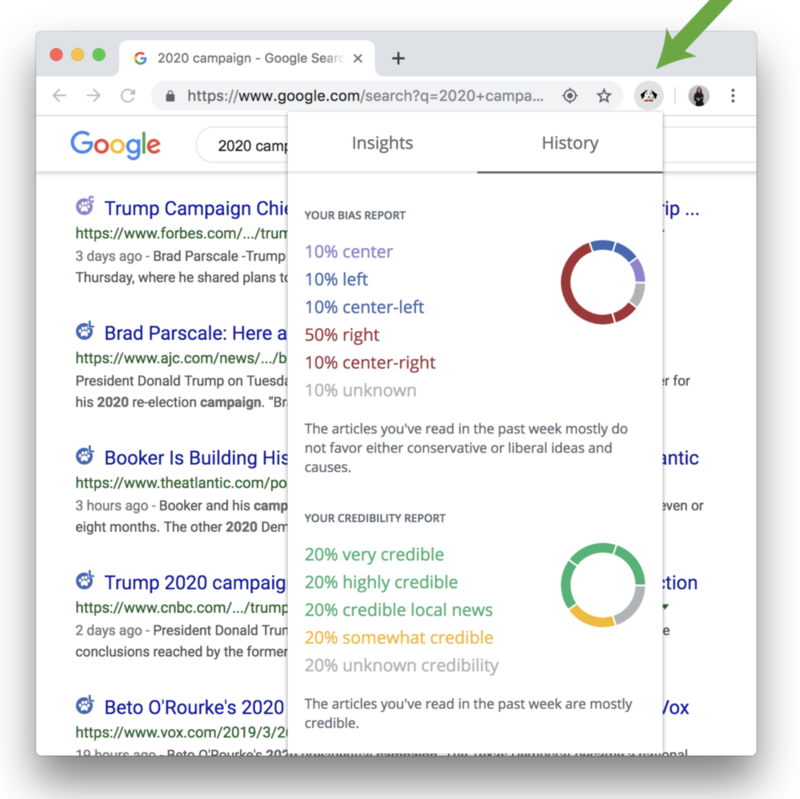 Just hover over Spot’s pawprint to know credibility and political slant of articles before you click..
Click on the toolbar icon and sign-in to see your own history of credibility and bias of the articles you’ve read in the past week. Spot’s pawprints can be found on several select news sites. If your favorite site is not on this list let us know at hello@nobias.com. To read more about how we determine slant and credibility, click here.